‘The Venture Bros.’ Season Six Trailer: Here Come the Good Things! As I mentioned way back on day one, I have a few movies on this list that were not Full Moon movies. 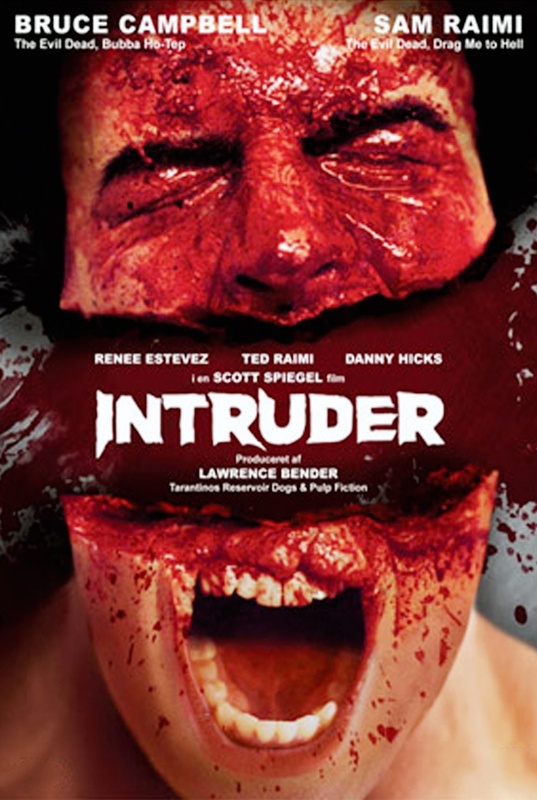 Intruder was finished right around the time that Empire Pictures folded and it was one of the movies that Charles Band took with him in the transition. Unfortunately the studio cut out nearly all the gore and gave it a terrible release. It was years before a truly uncut version of the movie was released which is a shame as Intruder is not only the last truly great slasher movie, but the most fitting send-off of the ’80s slasher wave that could possibly exist. Directed by Scott Spiegel, Intruder is the story of the night shift at a small town grocery store. The store’s owner is selling the place and everybody’s just going through the motions knowing that their job is soon coming to an end. But trouble is brewing as one of the teenager girls working at the store gets a visit from an obsessed ex-boyfriend and soon people are becoming dispatched in gruesome ways. Intruder is a joy and probably my favorite slasher movie of all time. It’s darkly comic and one of the goriest movies I have ever seen, but it’s all very cartoonish and camp. This is the Scott Spiegel who helped Evil Dead 2 come to be, not the Scott Spiegel who made From Dusk Till Dawn 2 and Hostel 3. Sam Raimi and Ted Raimi appear as store employees, though their role in the story is greatly exaggerated by the box art. (This is especially true of Bruce Campbell who only makes a small cameo appearance at the very end of the movie.) What we do have are a capable cast of actors including Renee Estevez and Danny Hicks in the role of his lifetime. The kills are gruesome and inventive, the story is as ugly as it is funny, and the dialogue is delightfully funny and morbid. Hey, do you like Raising Arizona? Remember that story that M. Emmett Walsh’s character tells in the opening credits about finding a severed head at a car accident? Remember how H.I. asked him if the Bill he was speaking of was Bill Roberts? Well Danny Hicks is playing Bill Roberts and tells that exact story word for word (and uninterrupted by Nicolas Cage narration and yodeling) making this take place in the same universe as a Coen Brothers movie. Whatever you do avoid classic posters, trailers, and even most synopses of this movie as they all blatantly spoil who the killer is. You’re best going into this blind, just expect something dark, funny, and entertaining as Hell. Watch, Toss, Or Buy? Buy this movie, buy a copy for your friends, buy a copy for your enemies!